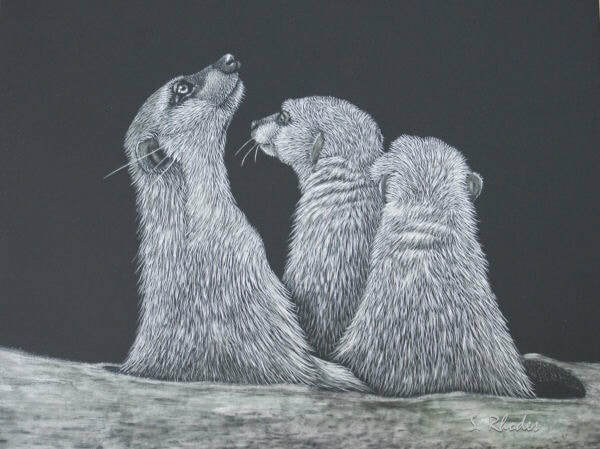 Sue Rhodes began drawing at an early age, and in 1980 she started painting using acrylics as her medium. 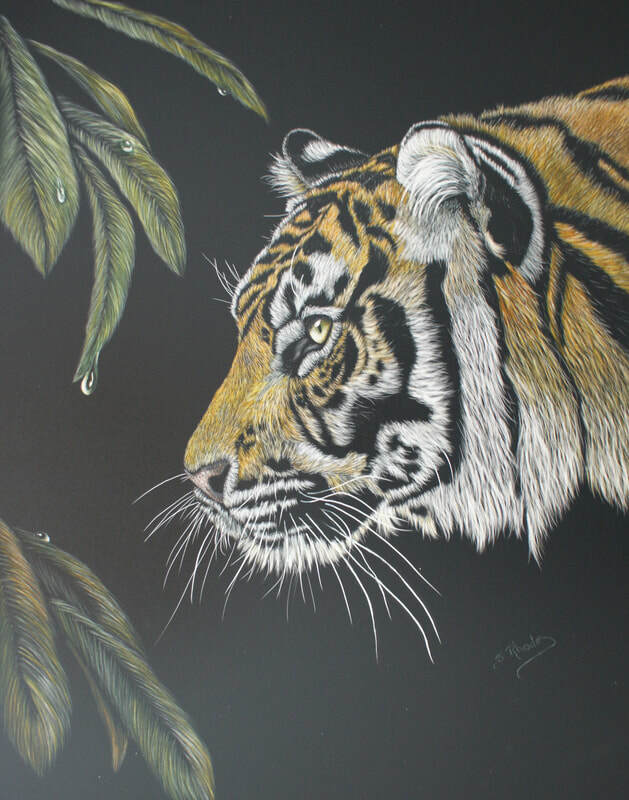 In the early-90's she discovered her passion for painting animals, and signed up for workshops and seminars where she could develop her skills. 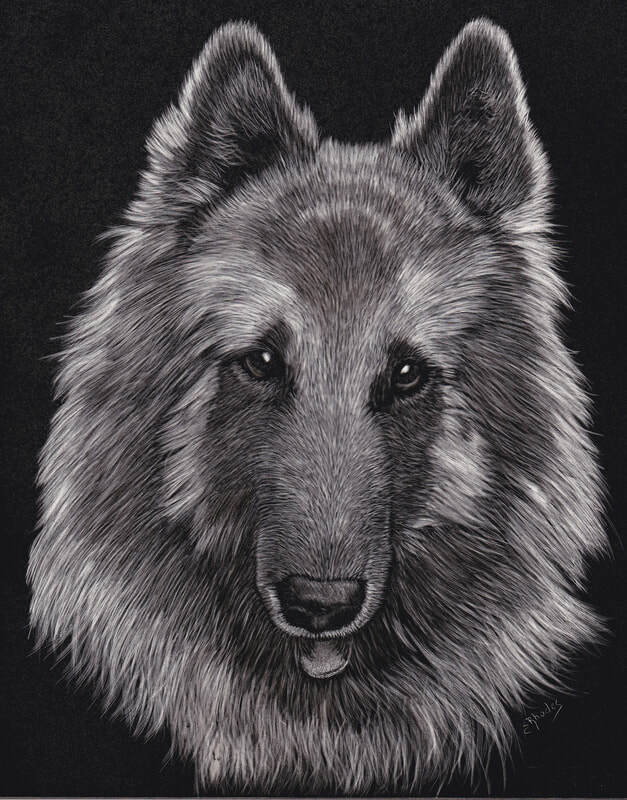 Over the years she played with colored pencils and pastels, as well as oils. 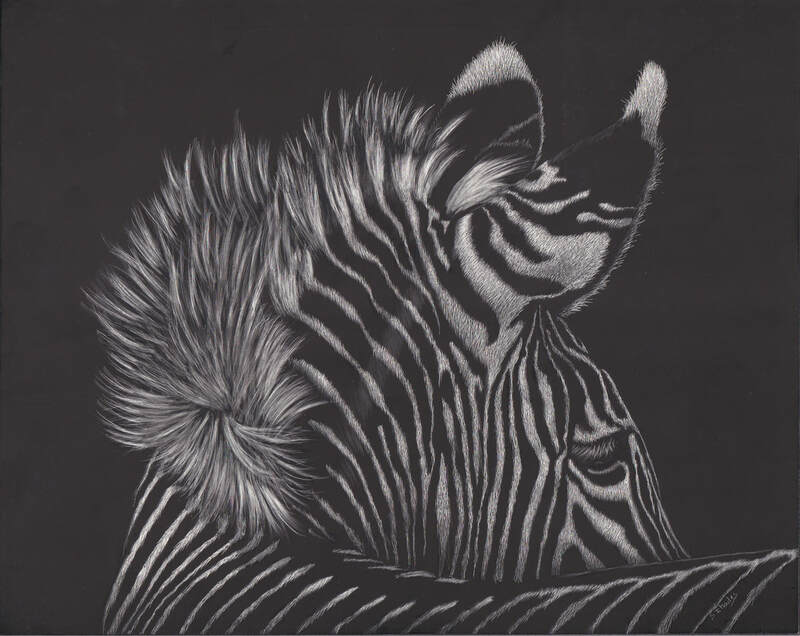 Although she likes to use pastel pencils now and again, her main focus is on developing her scratchboard skills, which she started doing in 2008.